Halloween never looked so cute in one outfit. The black longsleeve swing shirt has three ornament appliques on the bottom a spider, pumpkin and owl. 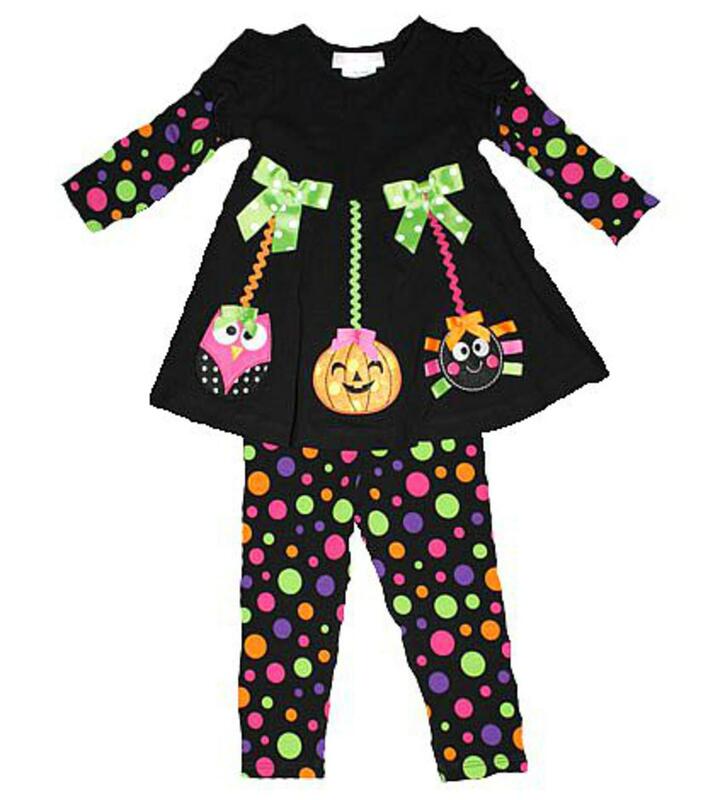 There is two green with white polka dot bows on the chest and puff shoulders with sleeves that are black with multi color polka dots. There is matching black with multi color polka dot leggins with an elastic waist. This adorable outfit is super soft and 95% cotton and 5% spandex.